The Carbine, part of a series of high end firearms made by Silver Shadow in Israel, is produced using cutting edge manufacturing techniques with the purpose of improving the well-known and proven system platform. Our R&D laboratory utilizes state-of-the-art equipment and its personnel consists of leading Israeli firearms designers. With a combined experience spanning many decades. The Gilboa® is superior to other rifles due to the manner in which it's manufactured using CNC machinery. This improves the chassis significantly and enhances the weapon's reliability and durability under the harshest field conditions. 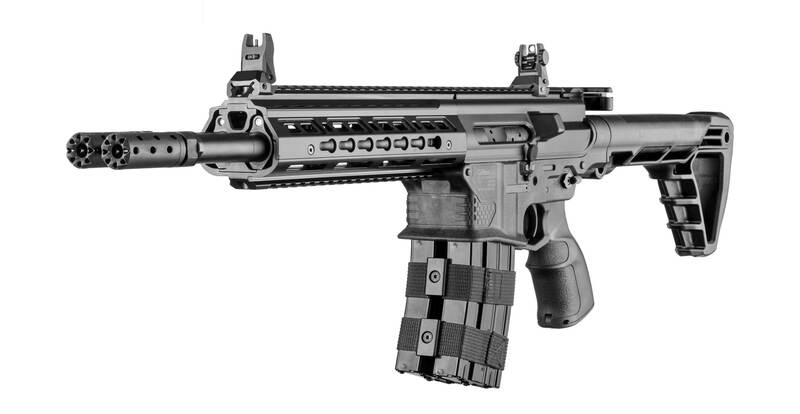 The Carbine is 100% compatible to Standard AR's, thus making parts and maintenance as well as training an easy task. Barrel length 292mm - 11.5"